Here you will find additional materials for using the digital communication simulation with MATLAB and Simulink in undergraduate, graduate and continuing professional education. The text is a direct outgrowth of experience in teaching analog and digital communication systems at the undergraduate, graduate and professional level. The sea change in this material for the student and professional is the introduction of channel noise and non-linearities in the analysis of communication systems within the last decade. Prior to this time, analog and digital communication systems were presented by analytical equations without noise, and with a hardware laboratory without significant non-linearities. 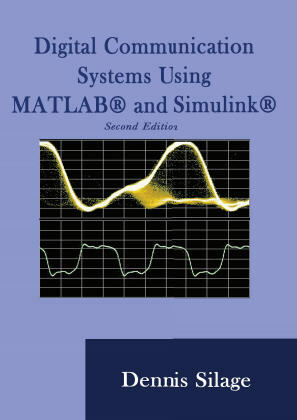 This Second Edition contains additional material on the use of MATLAB functions in Simulink simulation, bandpass analog and complex digital modulation methods, time, frequency, code and orthogonal frequency division multiplexing, and direct sequence and frequency hopping spread spectrum. The material included here is for educational use only and can be freely distributed for that purpose with suitable citation of origin. The material is copyrighted and no other rights or other license is implied by their inclusion here. The 7ZIP/ZIP archive files are password protected as described in Appendix A of the text. The MATLAB and Simulink models require in addition the Communications and Signal Processing toolboxes and blocksets, available from The MathWorks, Inc.